When plans change and schedules suddenly open, there is potential. A gift of time and opportunity. Maybe you clean, catch up on paperwork or sleep, get outside or meet up with friends. I’ve found, when I come across one of these unexpected free days, I simply hope I can look back when the sun has set and feel satisfied with the outcome. I enjoy the feeling of surprised satisfaction. It is like knowing the cookie jar is empty, but looking anyway out of habit, and, after tilting the jar, one last chocolate chip cookie slides out of the ceramic bear’s toes. You now have a second chance at enjoying the cookie. Savor or devour it, that is your choice. When all is said and done, you just hope the cookie was as rich and delicious as you anticipated. Last weekend, I found an extra cookie. An unexpected day off. As it turned out, that cookie turned out to be one of the best I’ve had in a while. Why? Let me recap the events for you. I leave work Friday night after a long shift and even longer week expecting to return at 5am the next morning. At 8pm, I get a phone call saying I don’t have to come in on Saturday. “Take the day off,” they say. Being that I have the night shift on Sunday, I won’t have to return two work for another 45 hours. This is looking like one delicious cookie. This cookie just got some chocholate chips. We were there by lunch. Get the tour. Check. Eat the sandwiches. Check. Ready the boats. Check. Rig up the rods. Check. Push off. And there is it, a big glass of cold milk next to that gooey, chocolaty, puts-Martha-Stewart-to-shame cookie. 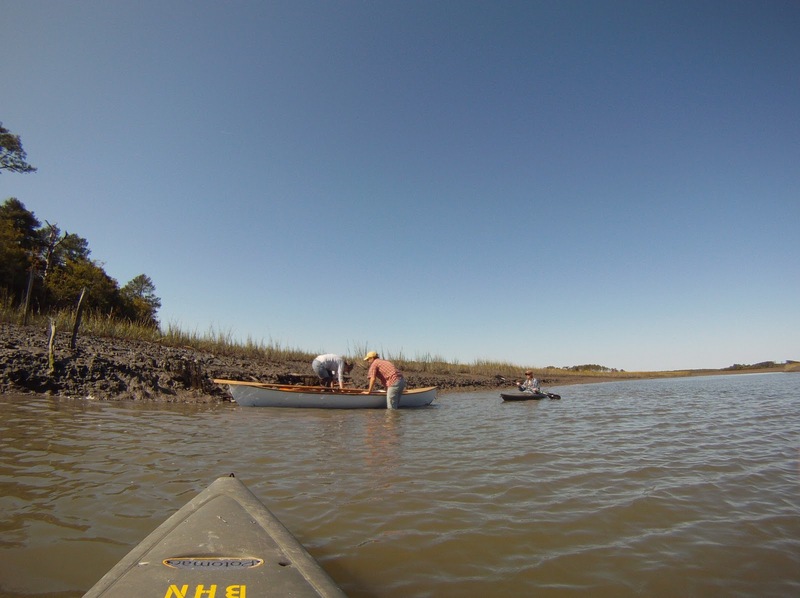 We paddled through the channels of the marsh. 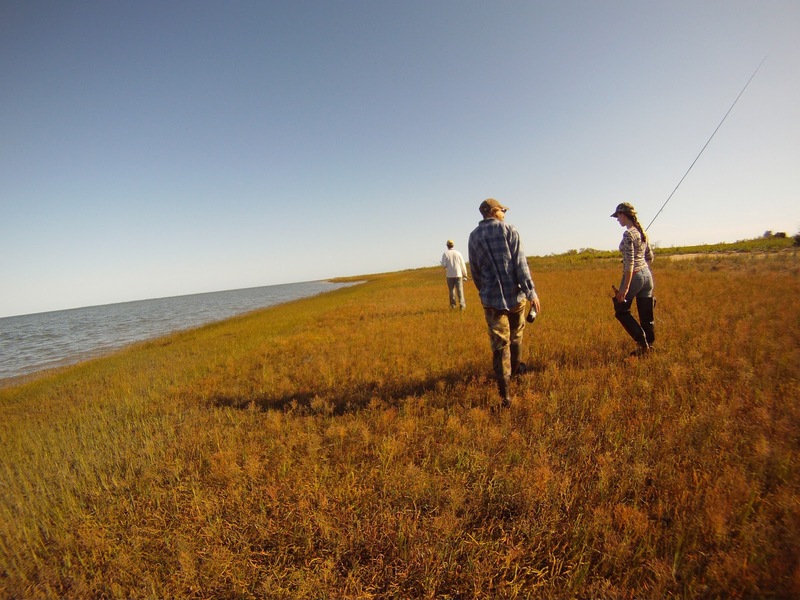 Fiddler crabs scurrying over muddy banks and oyster beds. When we paddled far enough, we walked to the fish. The march ecosystem can look desolate and teeming with life all at the same time. 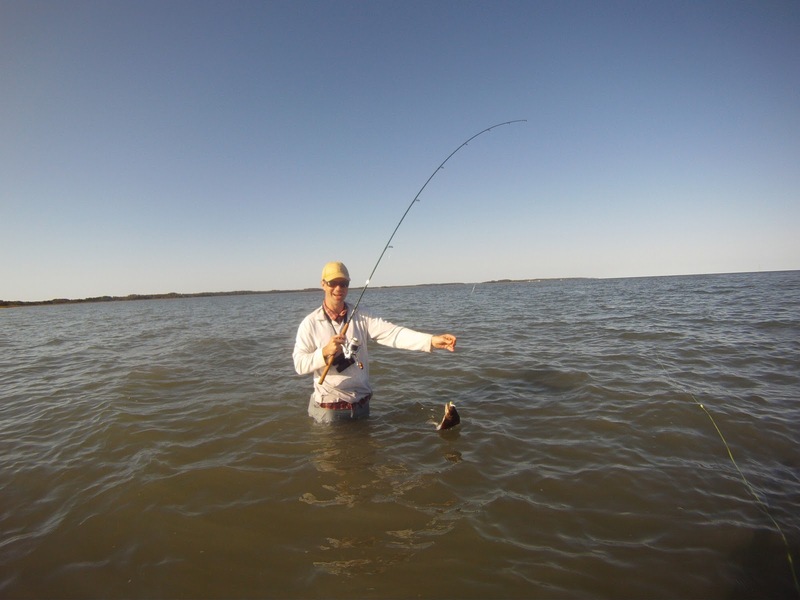 Brad switches to a spinning rod to find a flounder. The fish were on. Spec after spec. 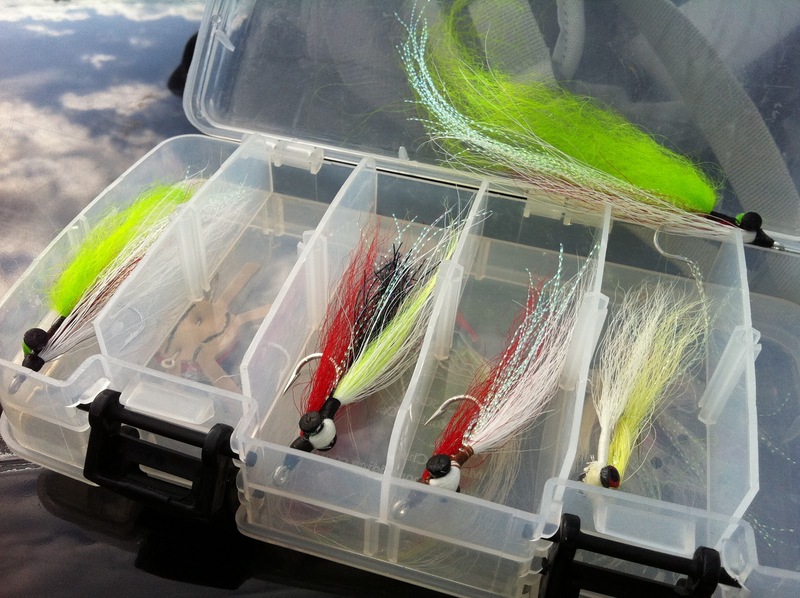 They couldn’t resist the slow retrieve of a self-tied clouser. Brad landing my catch of the day. 19″ Spec. Even a perfectly placed drop of water on the camera lens won’t taint the memory of that day. Sunday saw me back at work. Rejuvenated. Refreshed. Revitalized. Thankful and well fed. That was one spectacular cookie. 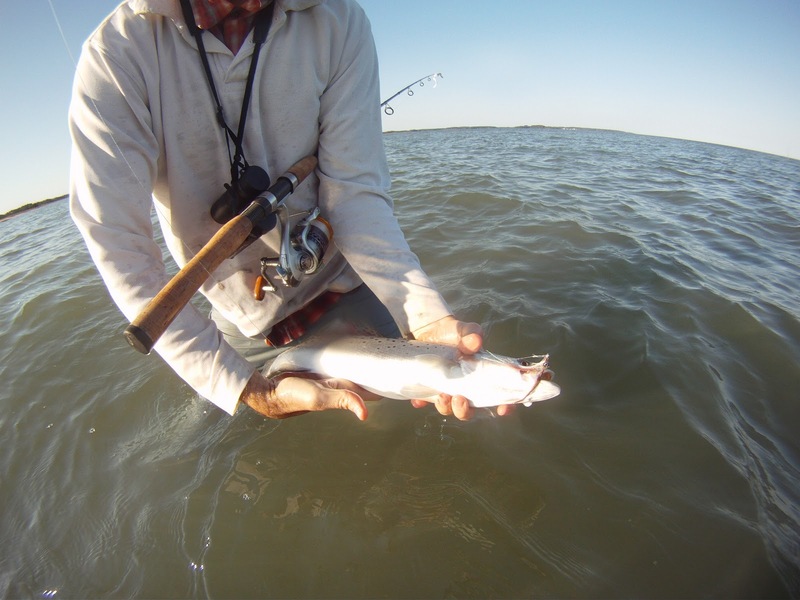 I dedicated a 7 hour day to searching my local shores for my first speckled trout. It took all 7 hours, but my efforts were rewarded. It’s funny, the fish seem so much bigger in my memory. Maybe it would be better to leave the camera at home. The video keeps my stories too honest. Well, I finally did it. I bit whatever bullet people refer to when they bite bullets, and bought a saltwater fly rod. I’ve been saving a little money each month. Researching the best options for my price range. Reading reviews. Asking peers. Doing all the things you are supposed to do before making a significant purchase. The result? I went with an outfit. 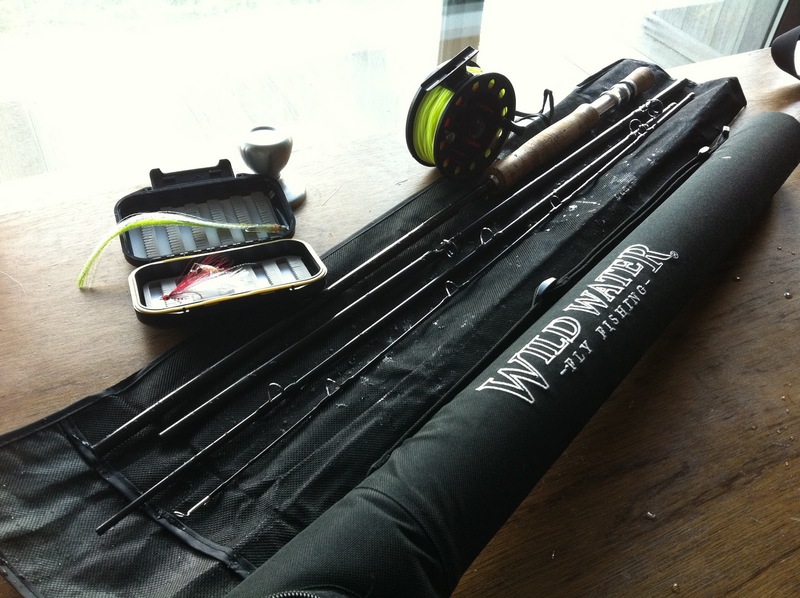 The 9/10wt 9′ 4 piece Wild Water Fly Fishing Saltwater Starter Package. Some things you should know about me before we go any further. 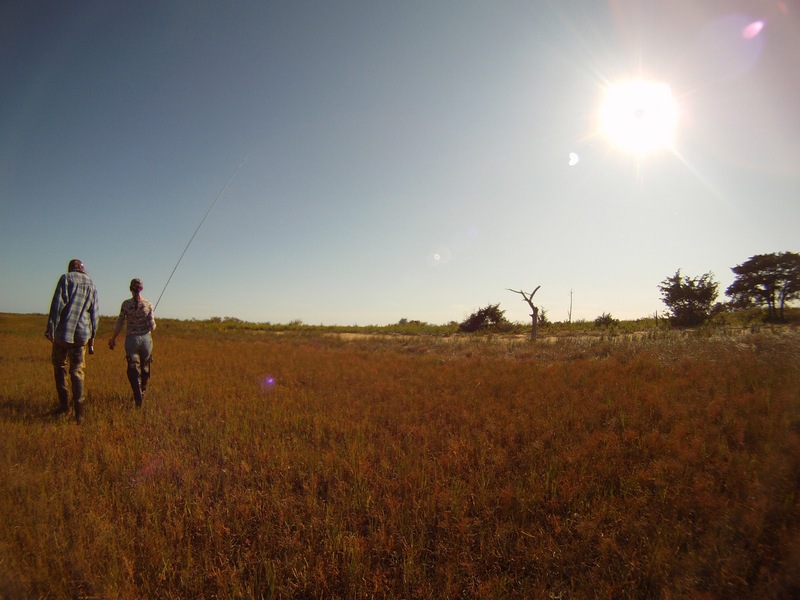 I’ve been fly fishing with a pretty flimsy 5wt for most of my fly fishing career. It is a rod I built myself in high school. I’ve have a pflueger reel on it and it has the same floating line on it now that it did when I first spooled it up. I know. I’m terrible. Secondly, I’ve briefly fished with a TFO, Sage and a Martin fiberglass 7-8 weight rods that give me my comparison for this review. So how did this baby hold up on it’s first outing? In short, outstanding. The rod blank is listed as “slow,” which left me expecting something comparable to my 5wt or the fiberglass. Maybe that was me being naive, but this rod was much faster than I expected. The weight distribution/balance felt very natural, and, when I was able to pull off a decent double haul, the line shot like butter. Smooth. Was I hesitant buying a brand that wasn’t as well established as say, Redington, for example? Well, yes, a bit. But from the reviews I read, I felt safe with my decision. So far, I have no regrets, and I don’t anticipate any in the future. 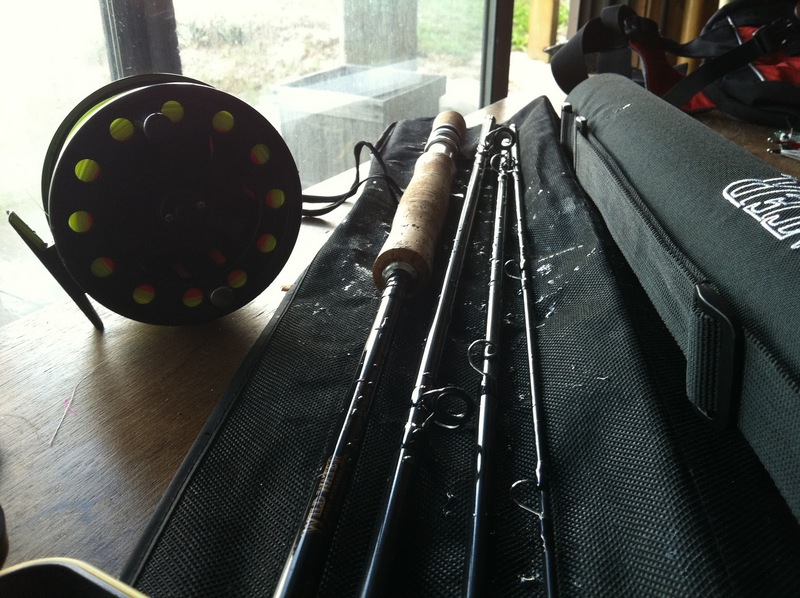 Lifetime Warranty on the rod – not transferrable between owners. You also have to send $35 with the rod when you want it replaced. 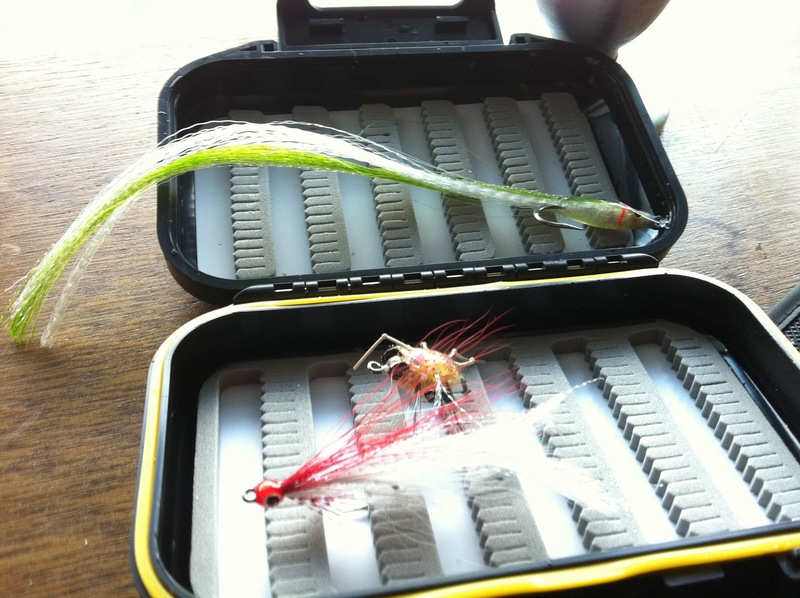 I also tied several clousers for the outing. Here they are, in all their fluffy glory.